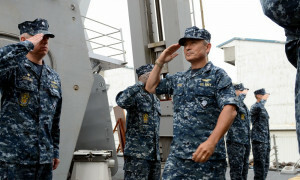 One of the most significant events that directly involve the complex situation unfolding in Southeast Asia (SEA) and the Indian Ocean region (IOR) was the speech given by the leader of the largest armed forces of US Pacific Command (USPACOM), Admiral Harry B. Harris Jr. at the beginning of March. With its remarkable title “Let’s Be Ambitious Together” the speech was delivered during the first ‘Raisina Dialogue’ conference held in the Indian capital, Delhi. 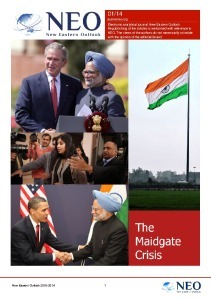 The ‘Raisina Dialogue’, organised by the Observer Research Foundation, was intended to become a new site (similar to the ‘Shangri-La Dialogue’ in Singapore, patronized by the London-based International Institute for Strategic Studies), which is to become a regular event (perhaps, once a year, like the ‘Shangri-La Dialogue’) under the auspices of the External Affairs Ministry of India. Various political and economic problems, mainly in the Asia-Pacific region (in the ‘extended’ understanding of this political and geographical concept, that is, including the Indian Ocean Region) are to be discussed at the platform. Actually, the last sentences by Harry B. Harris Jr. accurately reflect both the main problems of the general process of the displacement of the new global game center of gravity in the Asia-Pacific, and the US vision of their own (and of their current and potential allies’) role in their solution. 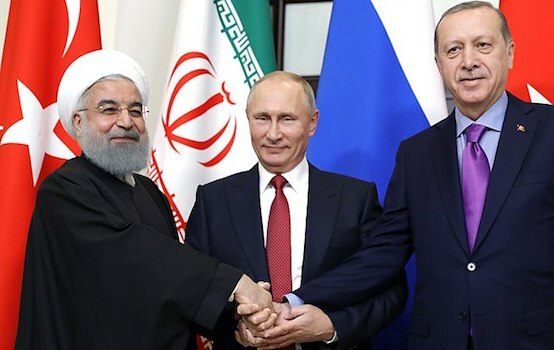 It should be noted that the process of the said displacement itself, the main ‘axis’ of fighting of the main participants in the new game, and the role of the United States with its allies have been the matter of discussions in the expert community as early as in the first half of the last decade. However, these issues were covered in the more or less formed notion in 2007 in the famous thesis of Shinzo Abe (then serving his first term as Prime Minister of Japan) on the ‘arc of instability’ that threatens the interests of ‘democratic countries’, which border the Asian mainland to the South. Even then, commentators noted that the ‘arc’, described by Shinzo Abe suspiciously exactly coincided with the major global shipping traffic of hydrocarbons from the Gulf to India, China, Japan and other Asian countries. Control over its operation has gained the importance of almost the main trump card in the new global game between the world’s leading powers. The development of the notion by Shinzo Abe was the so-called ‘Initiative of Four’ in the same year , when on the sidelines of the following ASEAN security forum the Defense Ministers of the US, Japan, India and Australia proposed forming something similar to an ‘Asian NATO’. This proposal was supported by joint naval exercises (which included the participation of the Singapore Navy), which the same year transformed into the regular annual US-Indian exercises Malabar. Due to the strong protests from China, the ‘Initiative of Four” was forgotten for almost ten years; Australia fully cancelled its participation in these exercises, and Japan only participated in them in some years. The speech of Harry B. Harris Jr. was an obvious attempt to revive the ‘Initiative of Four’ of 2007, in which special attention was paid to India – the ‘key element’ in the command activity entrusted to him. Harry B. Harris Jr. has got reasons for the last passages. They are grounded both by the general course of Washington to the sharp increase of importance of India in the policy of ‘tilting’ toward the Asia-Pacific region; and by the fact that the two thirds of the Indian Ocean became the responsibility of the USPACOM. However, Harry B. Harris Jr. did not restrict the circle of the most preferred partners in the implementation of US policy in the Asia-Pacific region to India alone. Referring to the reinforcement of the comprehensive contacts of India with Japan and Australia (that is, the two US allies de jure), he called for “the expansion of this tri-lateral configuration to a quadrilateral one” by including the US into the latter. The accession of other minor “like-minded nations” is not excluded as well. Even those “smaller nations”, which “some (large) countries seek to bully through intimidation and coercion”. However, just the mention of the South China Sea by the speaker made his Indian listeners to think hard. As the idea of activating the Indian Navy in the South China Sea (within the same Look East Policy) has long been discussed in India itself. In particular, Vietnam is urging Delhi to do so and today Vietnam is perhaps the main political and economic partner of India among the Southeast Asian countries. The main reason for the restrained reaction of the Indian leadership to such calls is the distinct awareness of the very real prospect of the direct military-political confrontation with China, that considers almost all of the South China Sea as its national territory. Simultaneously, Beijing declares its readiness to provide the necessary guarantees to ensure the very ‘freedom of navigation’ (which supposedly is of great concern for Washington) on trade routes passing through the South China Sea. Here, attention is drawn to the word “at this stage” and “in the Asia Pacific region”. The latter, apparently, was understood in the ‘narrow’ sense, that is, without the inclusion of the Indian Ocean region. In other words, the Indian Navy will not (yet) take part in the joint patrolling with the US Navy in the South China Sea. The very prospect itself, like any other, according to Manohar Parrikar, needed to be “carefully considered”. The second point in his statements led to the unequivocal confirmation of India’s intention to continue participating in the US-India naval exercises Malabar. In general, the content of the statement of the Defense Minister of India reflects the contradictory policy of Delhi towards China. It comes down to attempts to combine its components (which are increasingly difficult to reconcile) such as the desire to develop mutually beneficial economic relations and its simultaneously growing concerns due to the reinforcement of the military component of the national power of China. As for the prospect of accession of Japan and Australia to the new edition of ‘Initiative of Four’ of 2007 , this time proposed by the leader of USPACOM, then there would hardly be any problems with Tokyo. While refraining from any separate large-scale military activity in the South China Sea and IOR, here Japan may well become a party to the collective activities. This will also be contributed to by the development of comprehensive relations of Japan with India, which only accelerated after the meeting of Prime Ministers of the two countries held in New Delhi in December of 2015. 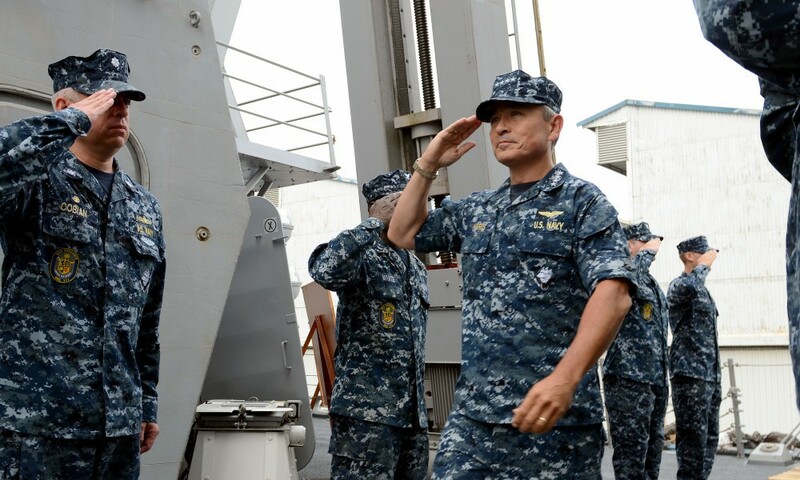 One of the points of the Joint Statement signed then, was the agreement on Japan’s participation in the Malabar exercises becoming regular from then on. For the reasons, discussed previously in NEO, it is currently difficult to say something definite about the Australian position should the speech of Harry B. Harris Jr. in Delhi have any practical consequences for the formation of at least a prototype of the ‘Asian NATO’. The Minister for Defense, Marise Payne, spoke on this subject quite evasively, saying only that “[Australia] kept the door for close consultations with partners open“. As for the ‘cocky’ country, mentioned by Harry B. Harris Jr. which he sees as the main source of threats to ‘freedom of navigation’, the recipient has picked up the message of the US high military commander. The Chinese Foreign Ministry has restricted itself to an expression of the hope that the trilateral exercises Malabar, planned for 2016 in the waters ‘near the northern Philippines’ will not become a threat to the interests of the ‘third countries’. The Global Times editorial on the same subject, also maintained a fairly moderate tone, and stated, first of all, the important role of Harry B. Harris Jr. in US diplomacy in the Asia-Pacific region as well as the duality of his personal position on the place and role of China in the Asia-Pacific region in general and in the South China Sea in particular. In the context of aggravation almost everywhere around China, such restraint in the face of challenges from its main geopolitical opponent seems to be currently the only possible form of response for Beijing. Vladimir Terekhov, leading research fellow at the Centre for Asian and Middle Eastern Studies at the Russian Institute of Strategic Research, exclusively for the online magazine “New Eastern Outlook”.